Mt. Sorak is known as Seoraksan in Korea. In Japanese, Chinese and Korean, San means mountain. 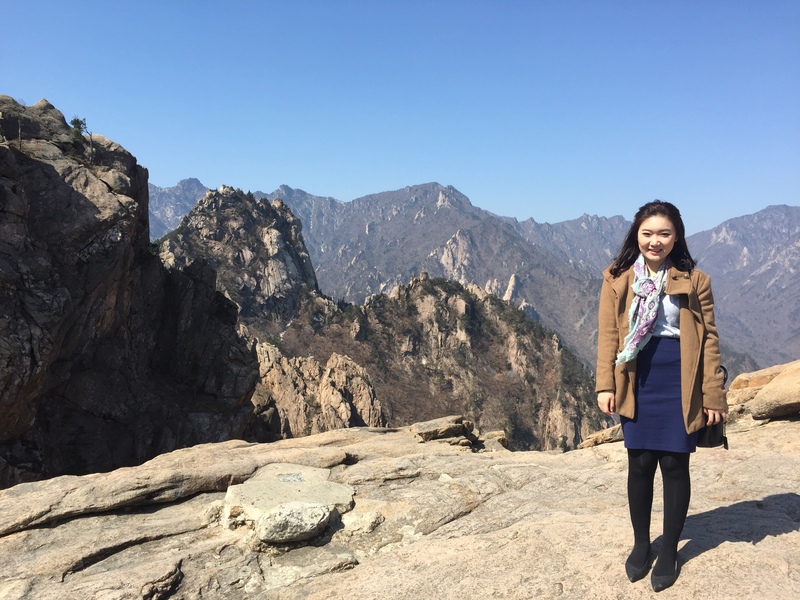 It is the highest mountain in the Taebaek mountain range in the Gangwon Province in eastern South Korea. 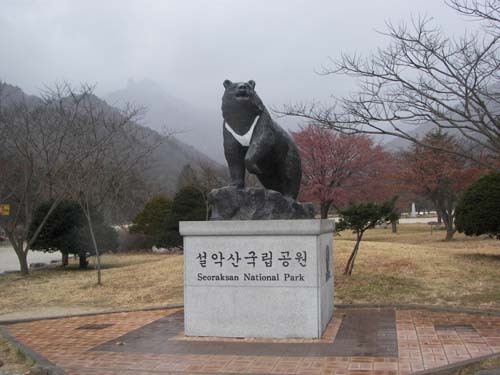 Seoraksan is located in a national park near the city of Sokcho. After the Hallasan volcano on Jeju Island and Jirisan in the south, Seoraksan is the third highest mountain in South Korea. According to the source, the national park attracts many national and international tourists all year round, but the main season for Seoraksan national park is fall. The fall colors in the area are considered amongst the most beautiful in Korea. The red and yellow forest is interrupted by rocks and small mountain streams flow amidst this. To reach the mountain top, you need to get up to the mountain. Firstly, you have to use Seoraksan cable car service to reach the other side, then you will need to walk the stairs to reach the Top of Seoraksan. Be careful when you walk through the stairs, it was quite slippery. 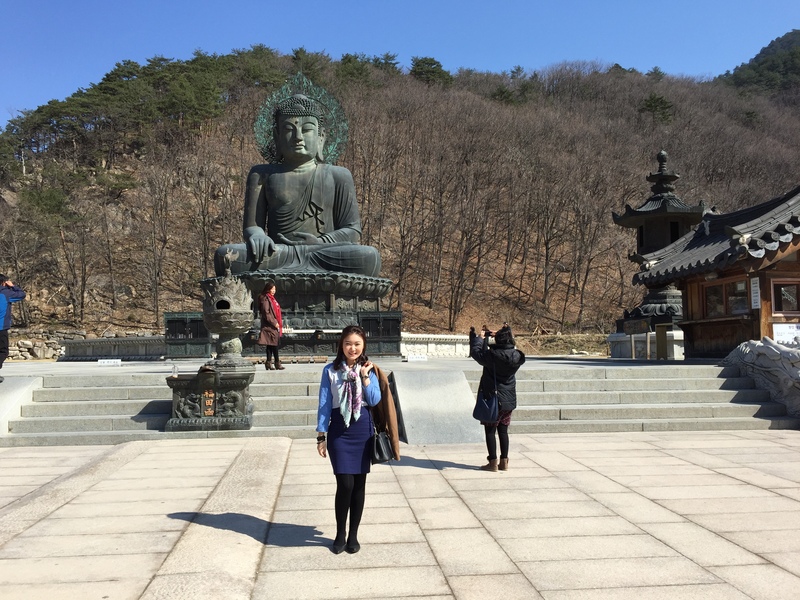 Besides mountain climbing, there was also a Big Buddha Statue there. You could have prayers if you do believe in Buddhism, you could pay for incense or candles. 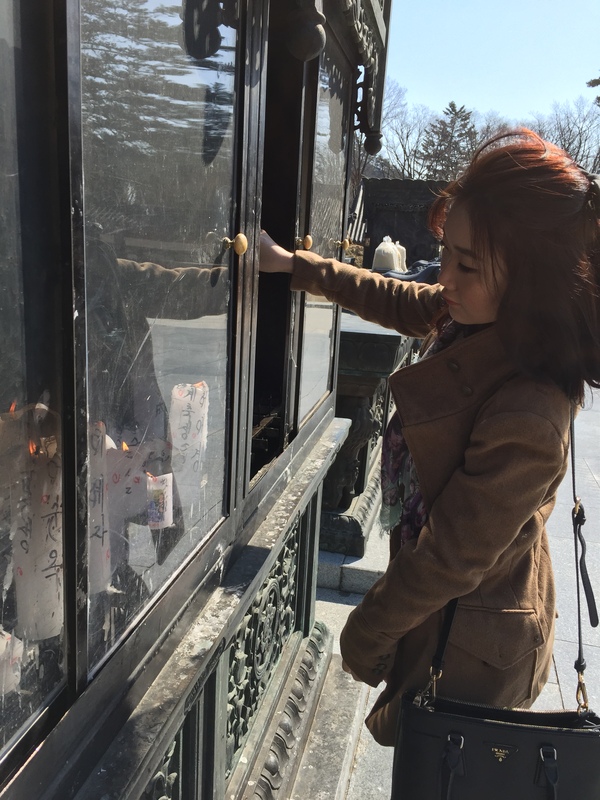 Everytime I travel, I will give worship to Buddha or God Statues in that certain places. I always pray for my family safety, as well as wishing myself to have another journey and endless adventure, and it actually works for me. I stayed a night in Mt. Sorak, and it was really chill and windy. I recommend you to use a local tour if you do really want to come to Mt. Sorak, because most of the locals barely speak English, and least Mandarin. 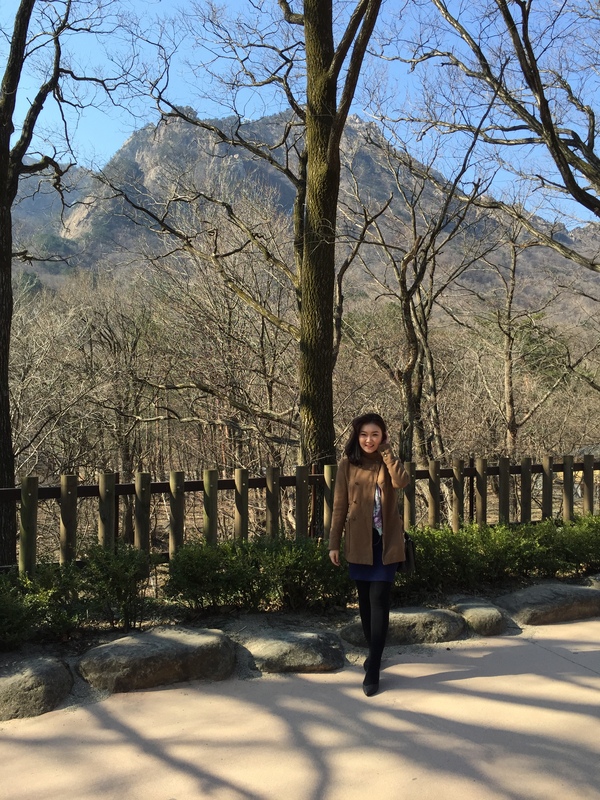 This windy mountain adventure was in Spring, March 2015, Seoraksan, South Korea.